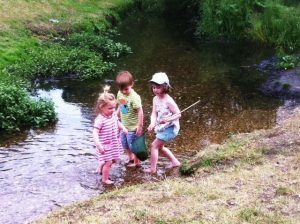 These are exciting times in Harrow because expertise, vision and community participation have come to work together to improve a number of Harrow’s rivers. 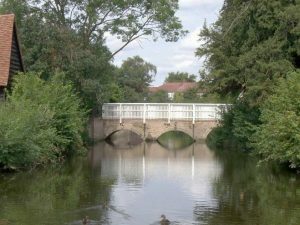 These projects include significant work in Stanmore Marsh, Queensbury Recreation Ground, Newton Park and Headstone Manor. Thames21 is working closely with the council and others to identify opportunities to restore these sites for people and wildlife as well as reduce the risk of flooding. Furthermore, we are delivering water environment education for local schools to these sites. The council undertook a restoration project on Stanmore Marsh from 2015 – 2017. The site has been beautifully re-naturalised, with the return of a natural stream and wetlands functioning as natural flood management. The works also included new paths and a new playground. During the project, Thames21 delivered community and schools engagement, reconnecting locals to the site. There were numerous educational sessions, clean-ups, and bulb-planting events. Thanks to Thames21, teachers have been trained to use the sites, and a friends group has been set up to take care of the park. 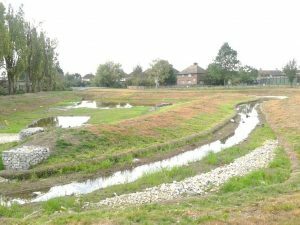 In June 2014, Harrow Council restored the Kenton Brook through the Queensbury Recreation Ground, creating a sinuous meander through the park which has been planted with native wild flowers and reeds. This restored river corridor is an excellent habitat for wildlife and people to enjoy but also provides critical flood storage helping to prevent flooding in homes. In addition to this, we will be working with 12 local schools to enable them to use the restored areas as educational spaces as well as helping to develop the schools as River Friendly Schools. These activities have been kindly funded by the Thames Water Community Investment Fund. This park is a great asset to local and wider communities offering a unique wildlife and heritage attraction. 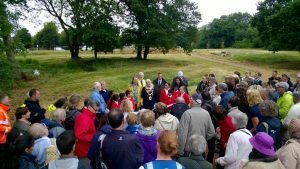 Thames21 and Harrow Council are jointly working together to realise the full potential of the park including restoration by deculverting a 12 metre length and developing a wetland upstream of the moat to filter out polluted water and sediment which is damaging its wildlife, water quality and amenity value.